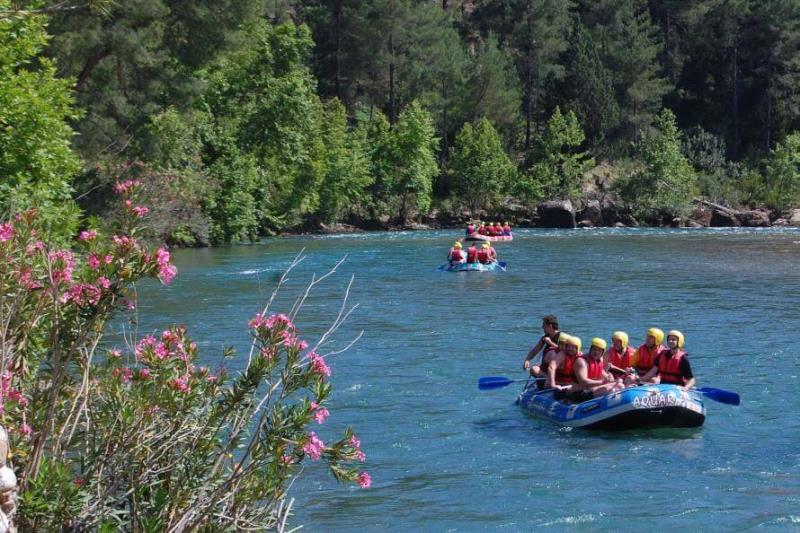 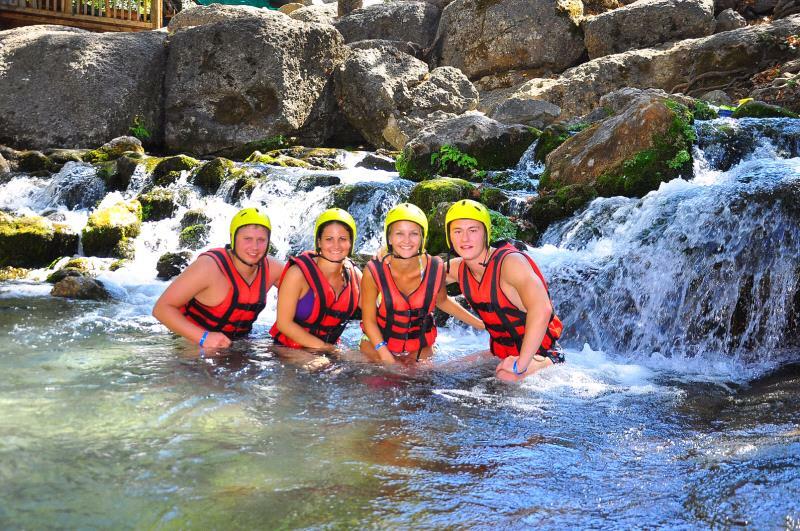 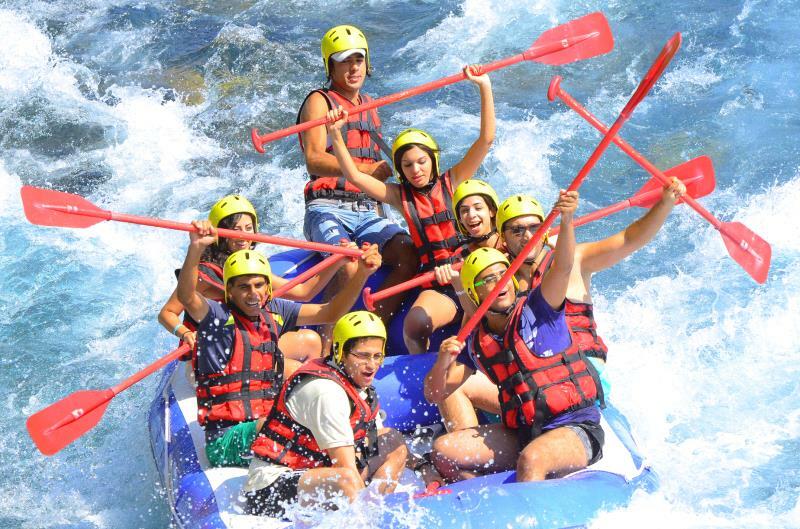 Alanya rafting tour takes place on the koprucay river known as one of the best rafting rivers in Turkey. 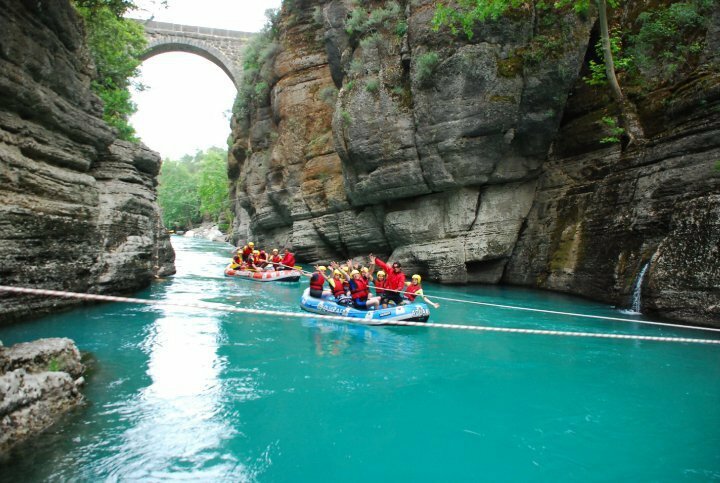 Koprucay is in a beautiful region called the Koprulu canyon national park named after the ancient Roman bridge which spans the river.Rafting is a great outdoor sport that can be enjoyed by all ages. 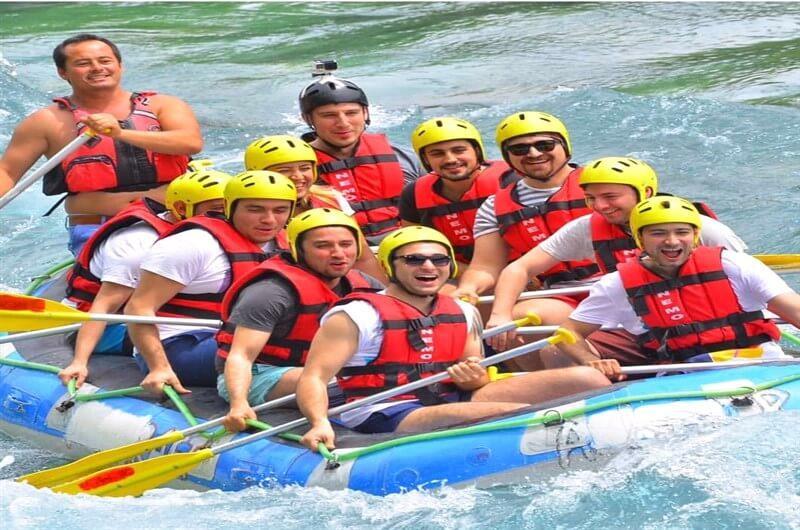 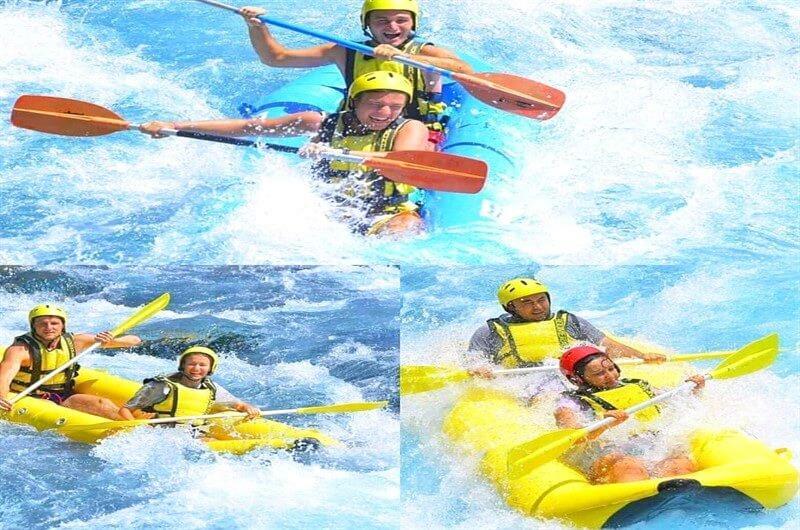 Alanya white water rafting tour is the most suitable activity for our guests who are looking for excitement, fun, and a super adrenaline rush. 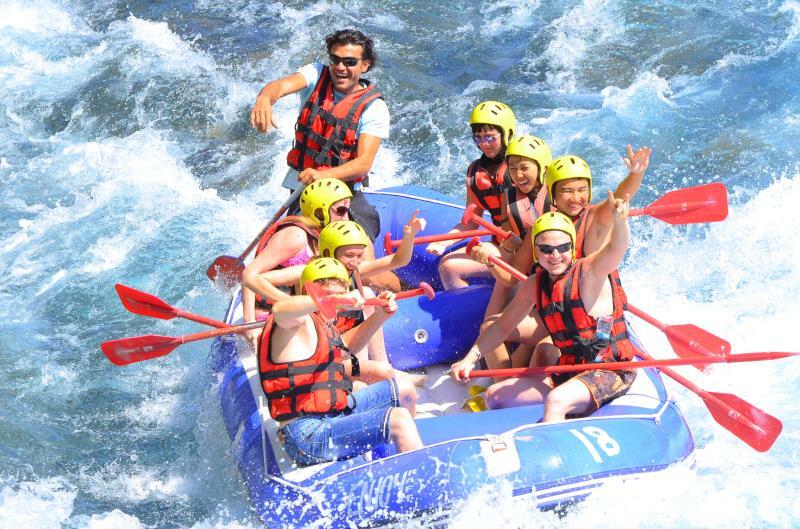 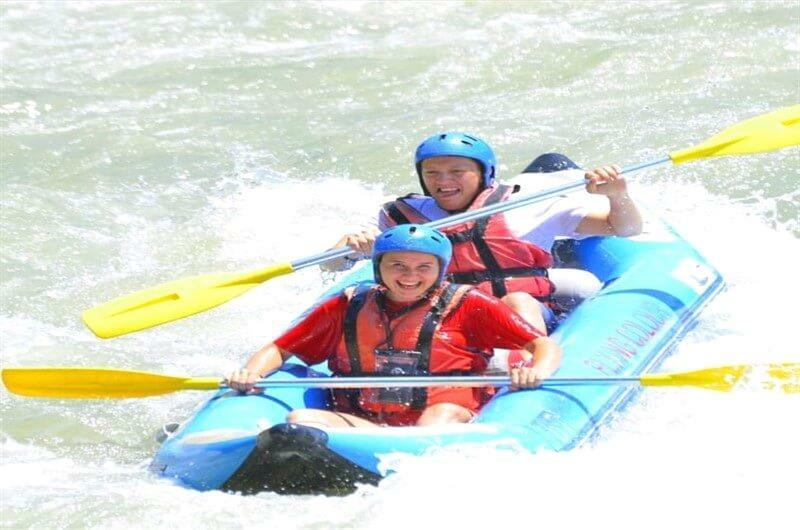 Rafting is a great outdoor sport that can be enjoyed by all ages. 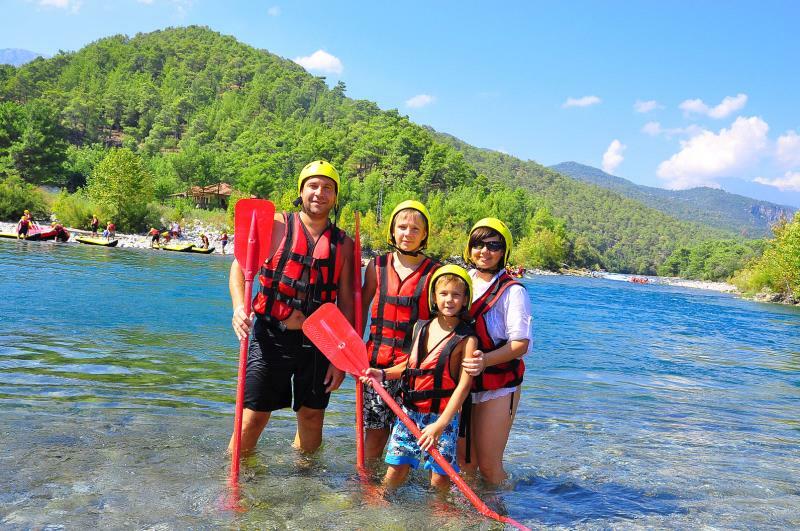 Alanya rafting tour takes place on the koprucay river known as one of the best rafting rivers in Turkey. 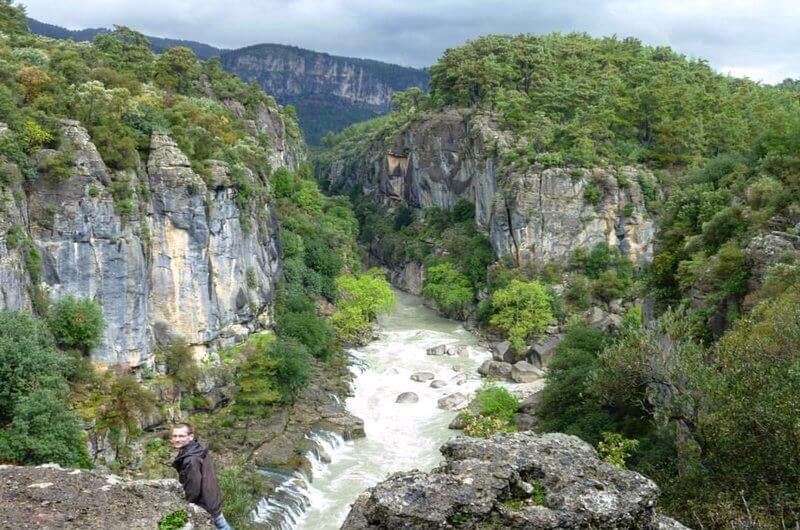 Koprucay is in a beautiful region called the Koprulu canyon national park named after the ancient Roman bridge which spans the river, The rafting journey along the canyon is about 14km and the level of the course is classed a level 3 medium according to international river rafting standards. 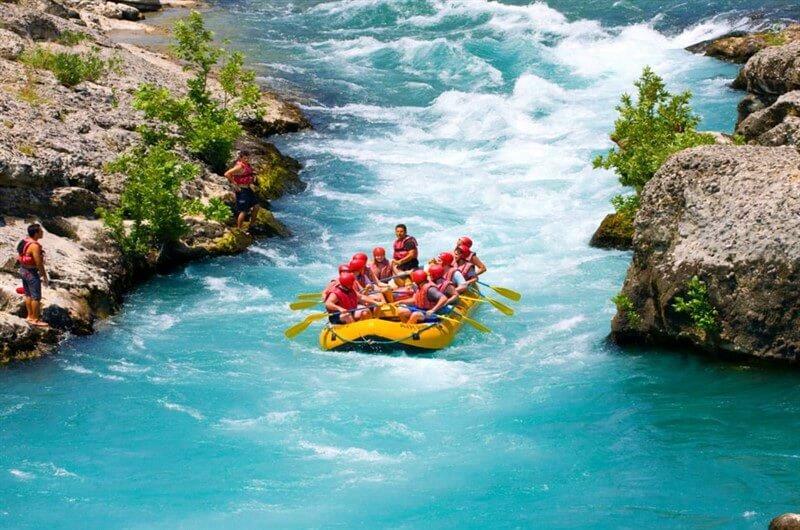 The temperature of the water is 12 degrees the river is 12 meters wide and 1-3 meters deep. 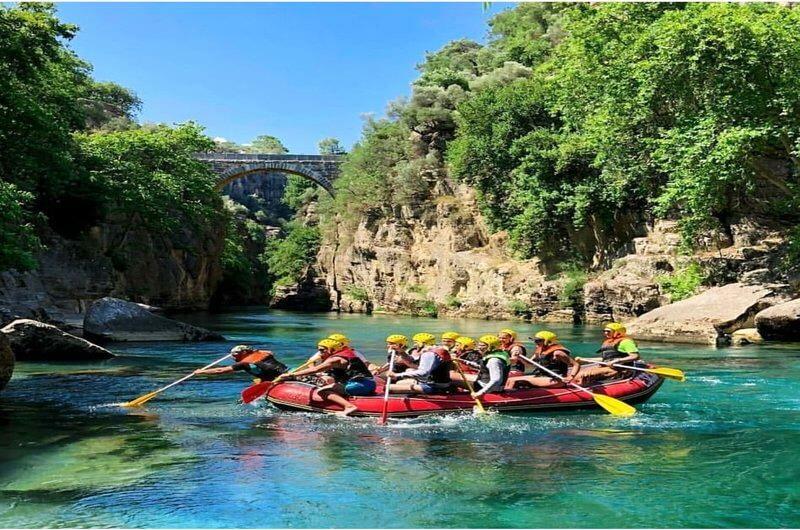 As you experience the wonderful natural beauty of the canyon there will be swimming, photo and animation break along the way.So come along and join us, take a chance to cool off from the hot Mediterranean weather and take the unforgettable trip of a lifetime. 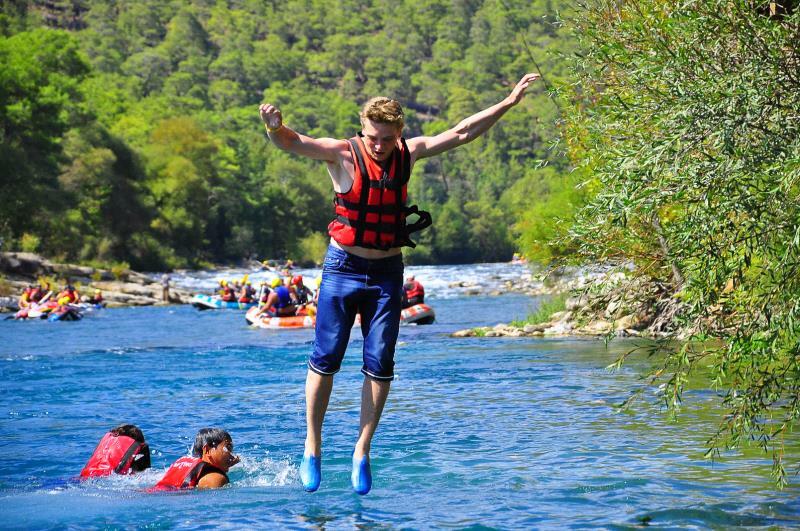 *You should prefer suitable shoes that do not slide easily in the water.You can also rent or buy it from our guide. 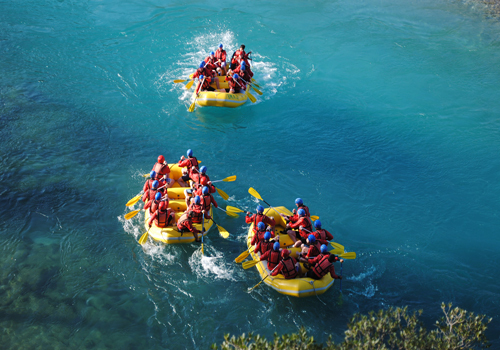 *Please do not take any valuable things and metal accessories(earrings, necklaces etc. 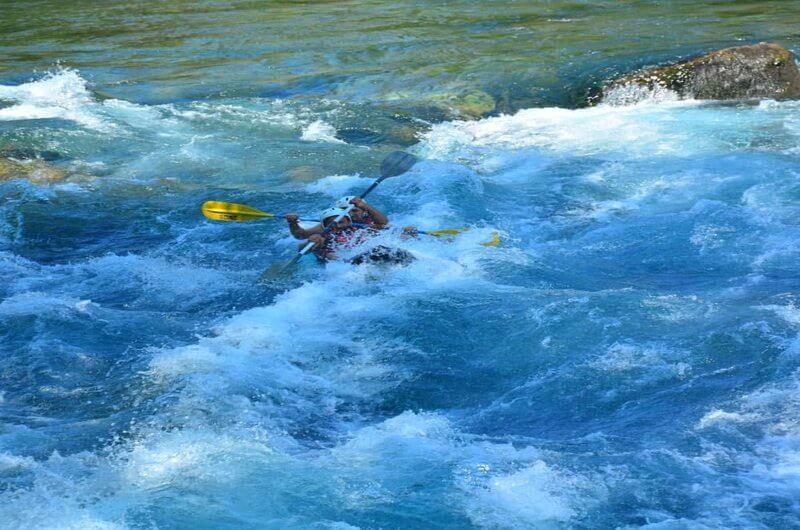 ).You can just take some money for drinks, photo, and videos. 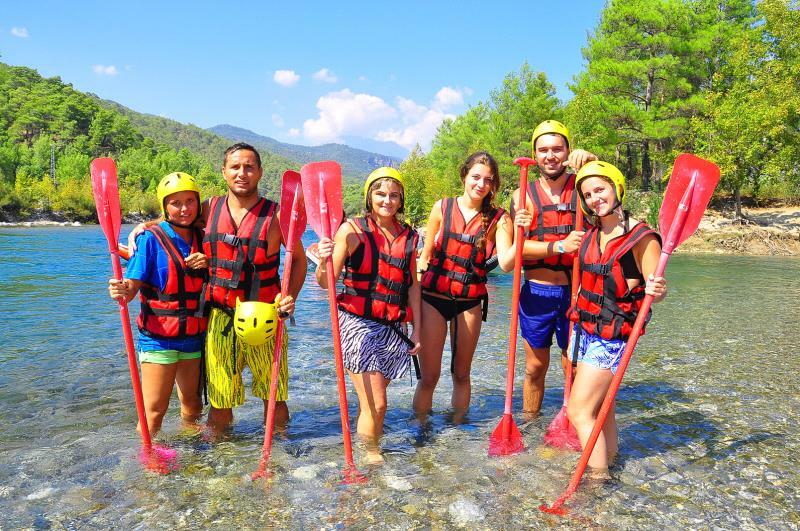 *The only disadvantage for the rafting tour from Alanya is the long way journey.However, We use comfortable and air-co buses for our transfer to make this journey easier for our guests. 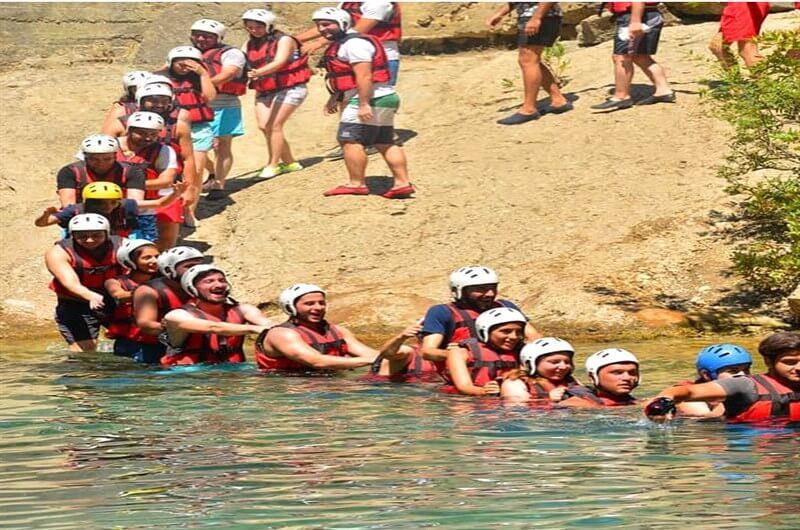 *You can pay the tour fee in any cash on the bus to our tour guide.